I’m afraid I’ve been very remiss in writing this entry, but it is finally here. I have loved this blog and all of the wonderful people I’ve met through it, but I never expected this blog to make one of my lifelong dreams come true. 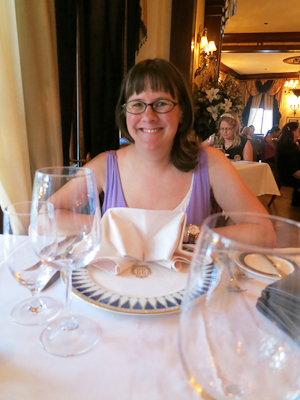 That’s right–thanks to an incredibly generous and sweet blog reader, I finally got to eat at Club 33. This exclusive club is open to members only and I have coveted an opportunity to eat there. When one of my readers offered to sign me in as a guest, I just about wet my pants from excitement. 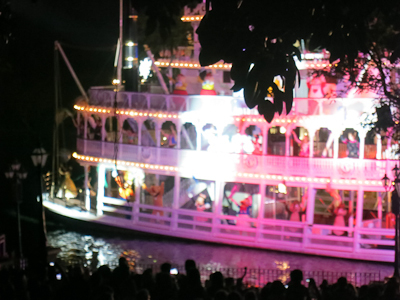 It really was ideal start to finish, especially with my mother-in-law wrangling the little Mouseketeers at home. Ringing the special doorbell was a real trip. It was like knocking on the wardrobe leading to Narnia. In fact, the whole thing was rather surreal. It’s one of those things that you’ve dreamed about and waited so long to do that when you’re actually doing it, it barely seems real. Because it’s so awesome. Did you know that those placeholder plates are called “chargers”? Our seats were perfect. 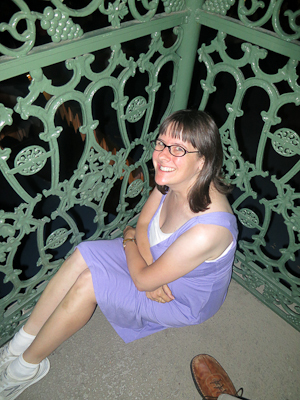 We were right against a window looking out over New Orleans Square to the Rivers of America (which would become important later). 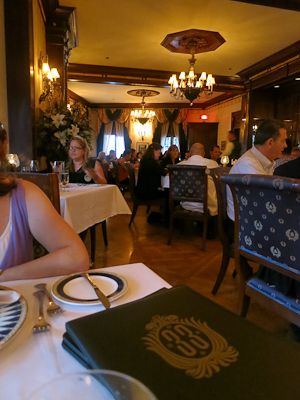 We were in the main dining room, which was not large, but grandiose. 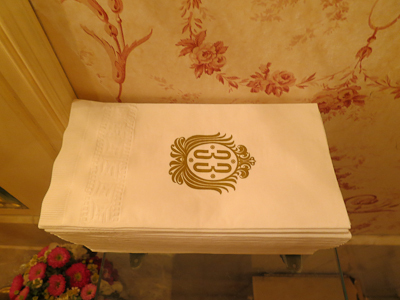 Also the menus were very classy. 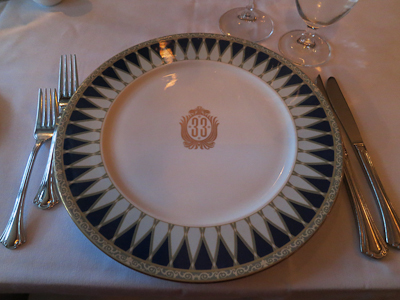 You had to order a minimum of $80–or the general equivalent of a park admission, since members are allowed to invite a certain number of guests into the park for free to dine at the Club. 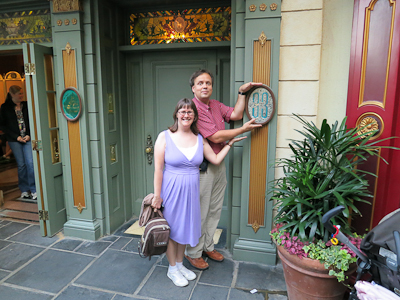 We conveniently had our annual passes, but decided it might be a little tacky to ask if they had an AP discount. Instead we both decided to order the prix fixe chef’s menu. What a fantastic choice. 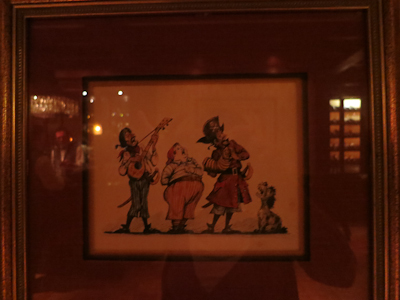 The wine list was also quite satisfying and we found a nice bottle to share. 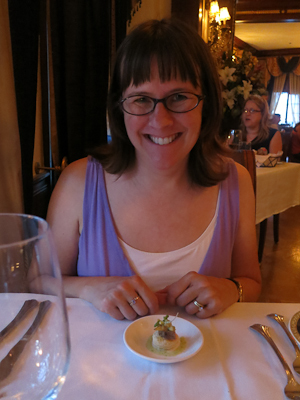 And I’m not gonna lie–this was back in May so I honestly don’t remember what it was that we ate. I’ll have to ask Kevin. Wow, I was having a great hair day! I honestly wasn’t sure what to expect from the food. Everyone said the food was excellent, but I’ve found that I occasionally have different taste opinions than many others. I’m delighted to say that everyone was right. 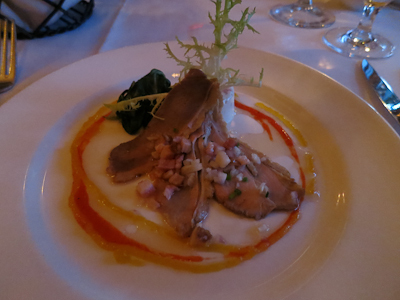 Duck appetizer. I love duck. 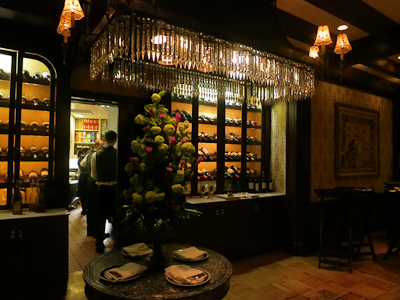 I think the Napa Rose in the Grand Californian serves some of the best food in town, and Club 33 was definitely of that quality. 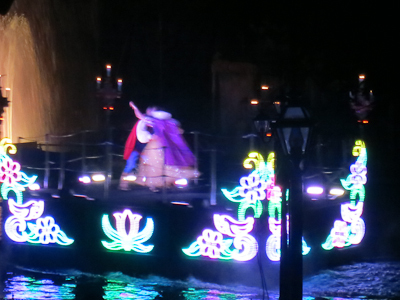 It was at that point that we had to take a break in our dining, because Fantasmic! 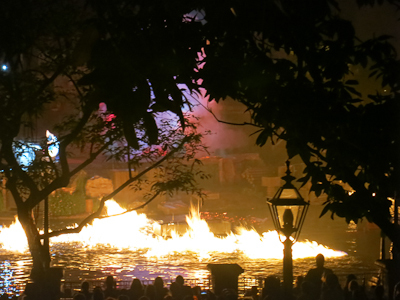 started and for realz, people–how often do you get the opportunity to watch Fantasmic! 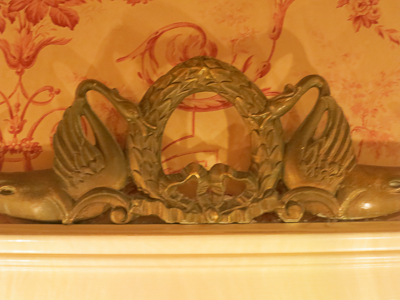 from your dinner table at Club 33 (well, probably often if you’re a member, but not often if you’re me). The balcony is very skinny, no more than two people long. Wide? I mean the distance between the building and the rail–about two people or one chair. 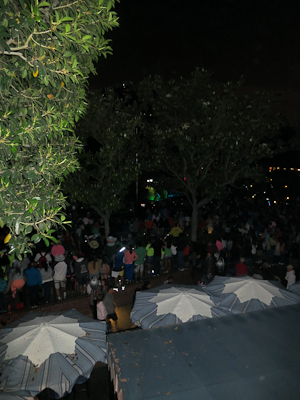 The other problem was that there was a giant tree directly in our view. Obstructed view! I demand a discount! 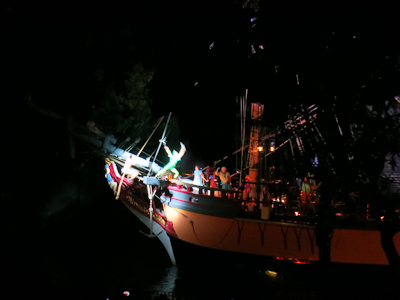 The only way to get a good look at Fantasmic! 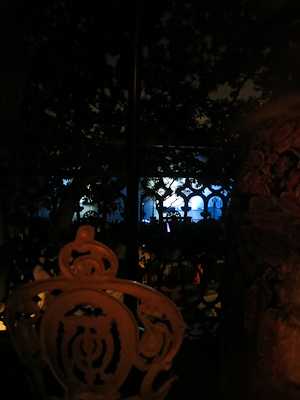 was getting close to the floor of the balcony and peeking through the bars. And you know what? I’m not too proud to do that. It was amazing seeing the show from up there. Especially with the zoom lens. 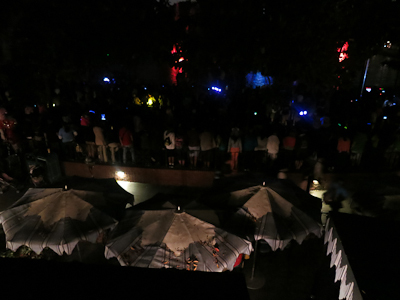 As usual, the photography is not great, but I can’t convey how exciting it really was up there. Afterwards we headed back inside to finish our meal. I couldn’t help but savor every minute. And then we decided to take a few pictures of the place. 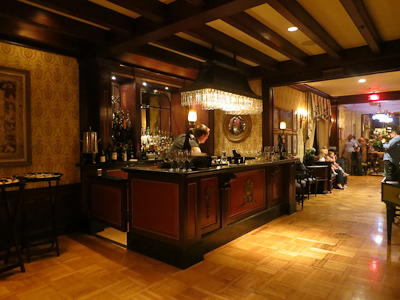 Did you know that Club 33 is the only place you can buy alcohol in Disneyland Park? They do serve alcohol in CA Adventure though. 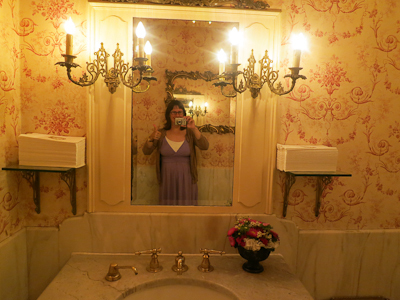 And then…yep, I had to use the facilities. And yep…I brought my camera with me. I mean seriously people, you’re talking about the person who parked her rear on the balcony to watch a show she’s seen several times already. Like I’m going to pass on this experience. 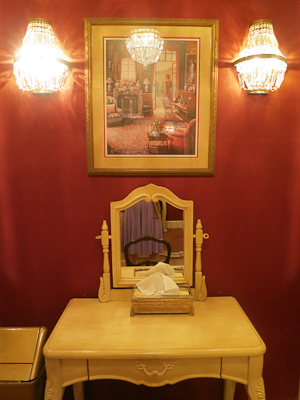 The ladies room had an entrance area, then a small vanity and two stalls. It was all quite lovely. 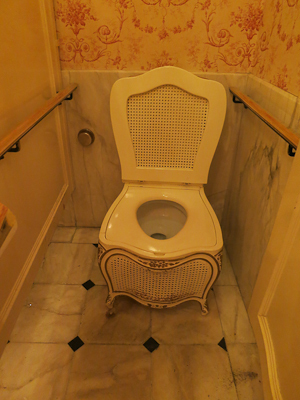 The toilets had an old-fashioned feel. Actually they seemed a bit weird, but I got used to it once I realized that I was using the restroom in CLUB THIRTY-THREE. I almost did take one of these, but what would I do with it? I’m so glad you posted this! It looks like an amazing experience. And you didn’t forget what you had for dinner, because you have the pictures, right? Looking forward to the dessert course. 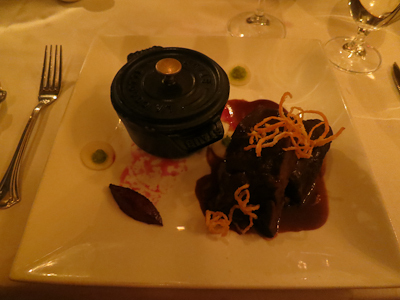 Yes, well, I think there’s a potato dish in that little crock on the spare ribs plate. Which melted right off the bone, by the way. So exciting! Can’t wait to read more! What a cool opportunity! It was definitely an amazing opportunity–too much for one post! How exciting! I’m so glad you got to go! Do you know how one gets to be a member? Did they mind you taking pictures? Hope you get to enjoy many more secret adventures and share them with us! Membership is by invitation only.There’s a waiting list, which in the past had been 10+ years long. However, last year or so they opened up the club to a bunch of new members, and my blog reader had the opportunity to join at that time. Man, I so would love that opportunity! Out of our price range, but amazing. I’ve passed by it a hundred times, (I work at the ‘Shoe) now I see what’s inside! Congrats! Must of been exciting! YOU WORK AT THE ‘SHOE??? How did I not know this??? So glad you got to enjoy it!! Wonderful post! Ha! 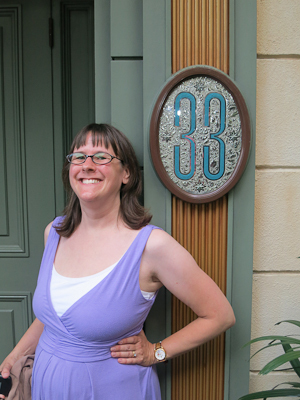 No reason to be shameful when it comes to Club 33. If I had a scrapbook or photo album, I would have nabbed one too :). Amazing experience! 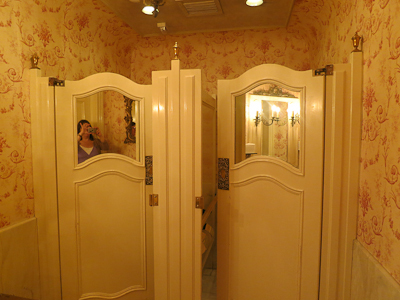 I always thought Club 33 was kind of the definition of ‘the magic’, good to see it’s not a disappointment. It was a good hair day, you look very nice. I struggled over how to say that and not sound creepy, but please rest assured that I am simply a fellow female who struggles with many a bad hair day. Ha! Yes, a good hair day is a good thing. 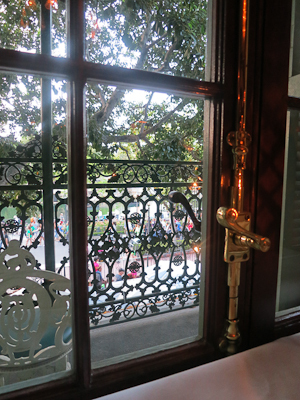 And Club 33 is definitely the magic! Wow!!!!! Amazing presentation! And duck was the appetizer??? Woo wee! It was cold and thinly sliced–so delicious! will often have to pay a slightly higher interest rate. Because of this sad truth, a self-employed human being simply cannot waste time overlooking the potential hazards of self-employment. However, before applying for no income proof loans you need to go through rigorous researches to get the loan which is best suited to you. websites to read articles, however this web site offers feature based writing.